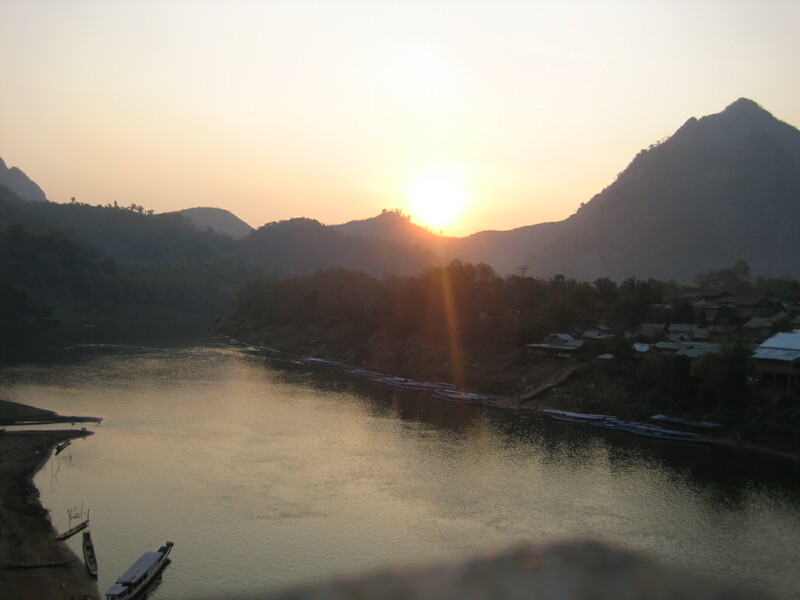 Our second stop in northern Laos landed us in Nong Khiaw. 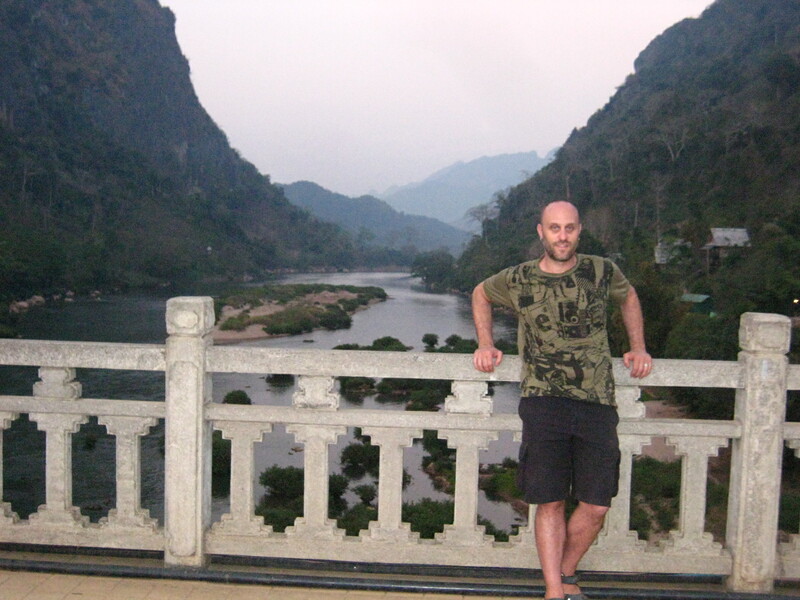 Even smaller than Luang Nam Tha, but a beautiful town nestled along the Nam Ou, in a valley between two mountains. Nong Khiaw is what we were calling the whole place, but it’s actually only one half of it. 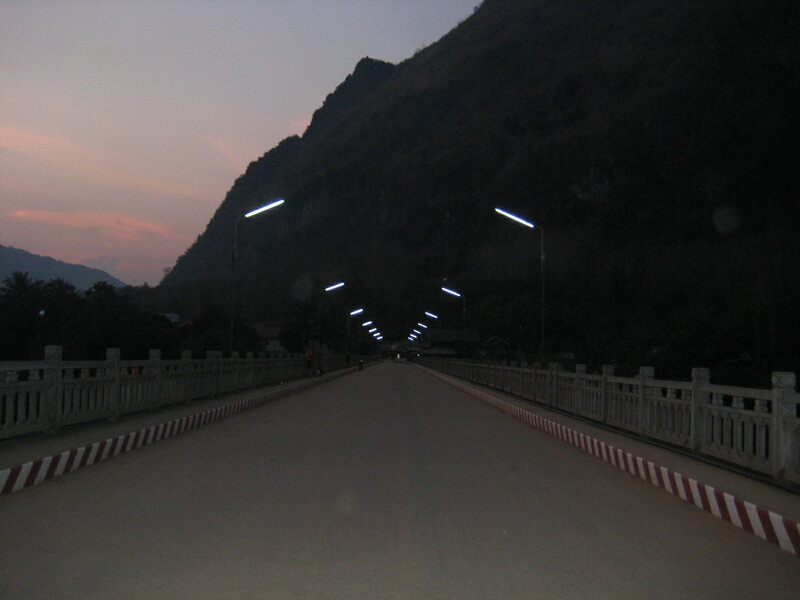 The other side is a village called Ban Sop Houn and the two are connected by a most awesome bridge spanning the width of the Nam Ou. rented bikes and took off in search of adventure in an otherwise rather humdrum little place. 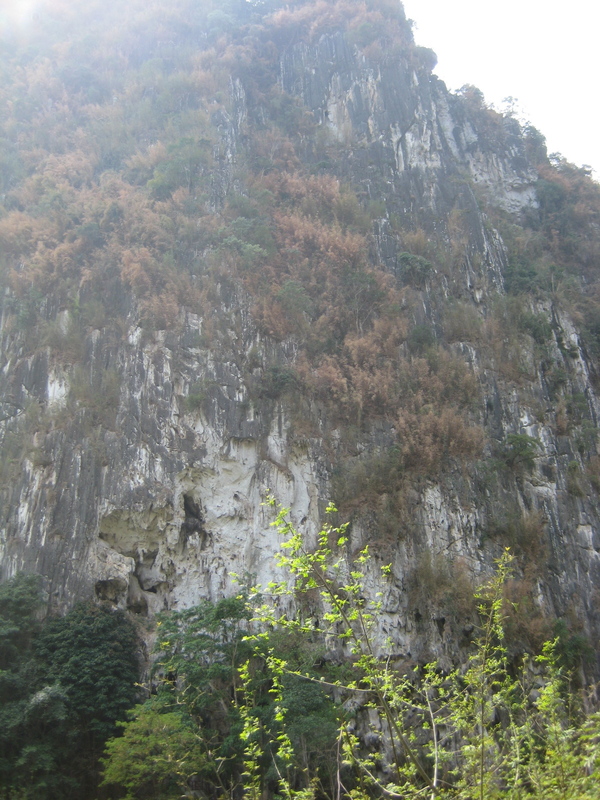 and saw the karst and outside of the cave up close. 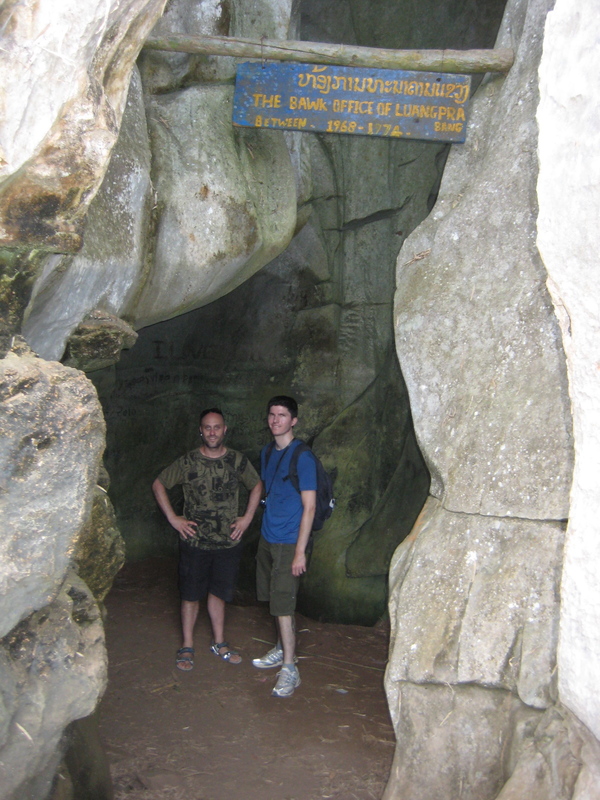 The Lonely Planet states that this cave is where the local population hid during the second Indochina war. 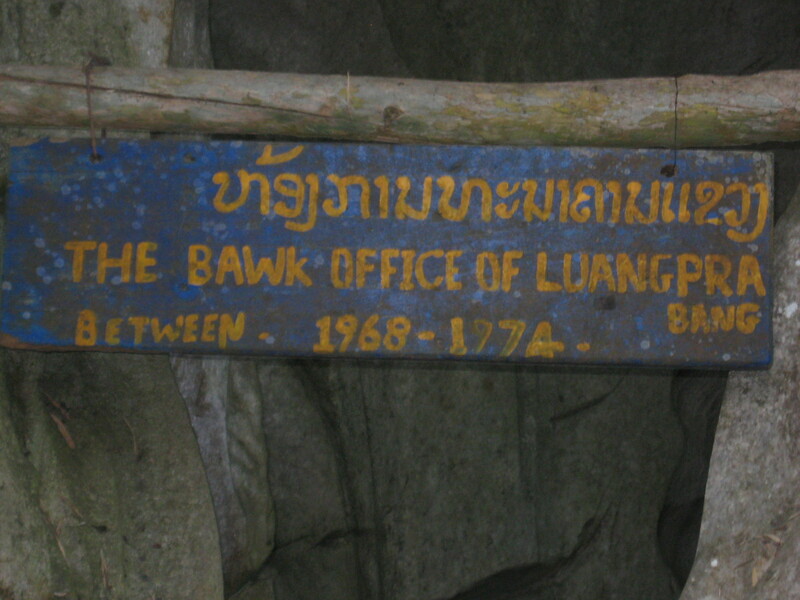 However, signs in the cave itself indicate that this is where the locals sought shelter when northern Laos was carpet bombed between 1965 and 1973 by the US during the Vietnam war. 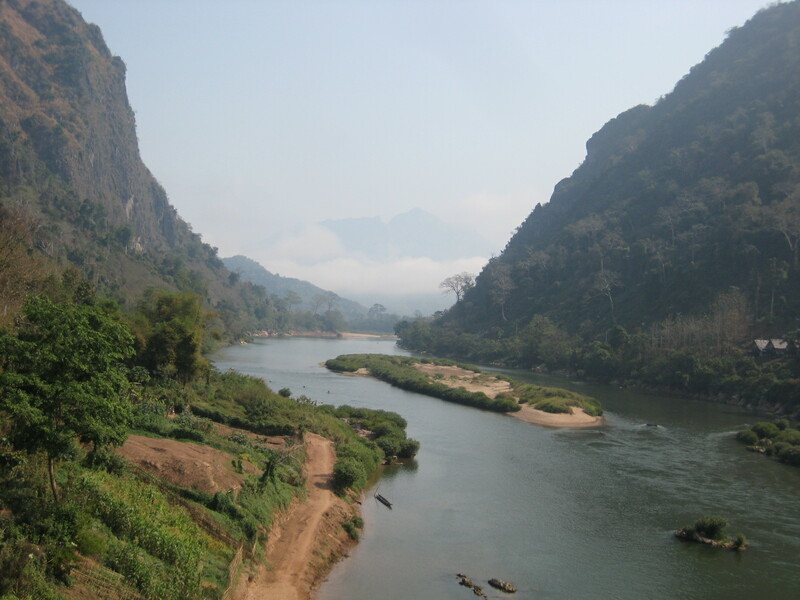 Why did the US carpet-bomb Laos, a neutral nation as deemed by the United Nations in 1954? Basically, ‘cause it worked in their favour, and they could. 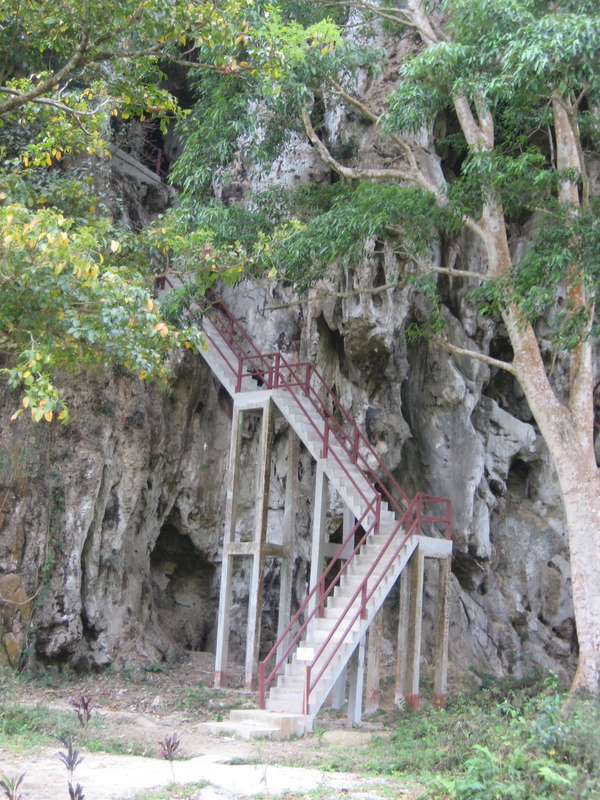 There are different little and big caves in and around the karst with signs for the bank, hospital and government administration centre. 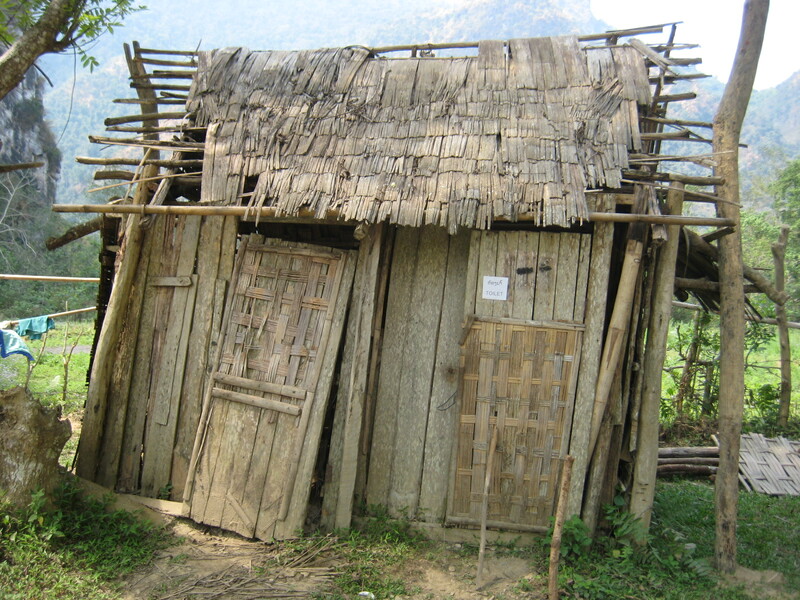 They had a whole little town set up in there, and remained up and running until they could return home again. I was quite claustrophobic growing up, and while I’ve managed it much better as I’ve gotten older, I still have my moments. 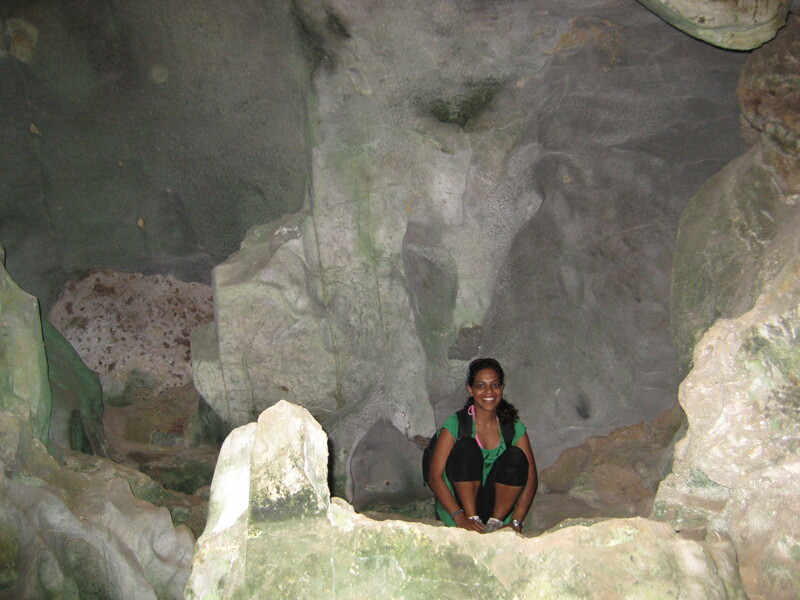 Never having been in a cave before, I was sure that this would be a good test. And it was. And I didn’t do very well. 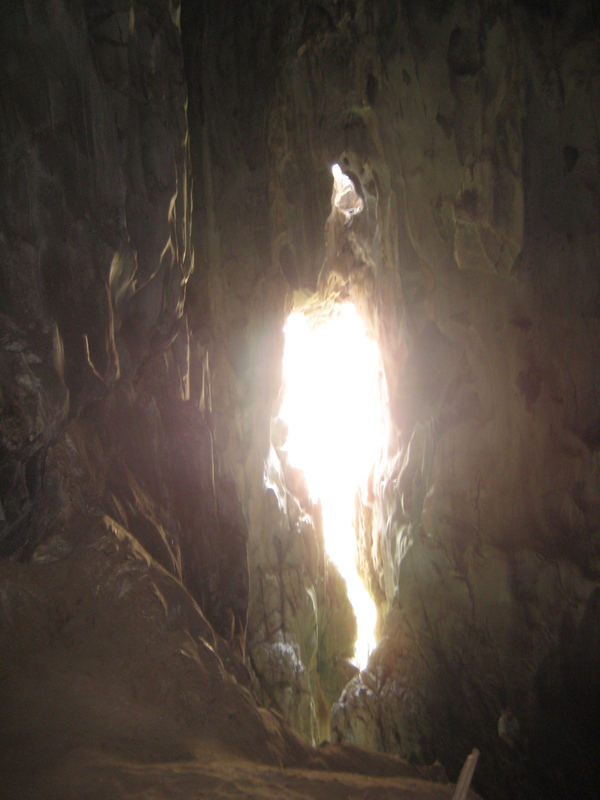 I managed OK in the hospital cave, because it went in a U-shape, was very large inside, and you could see natural light from all areas of the cave. I didn’t do so well in the bank cave. 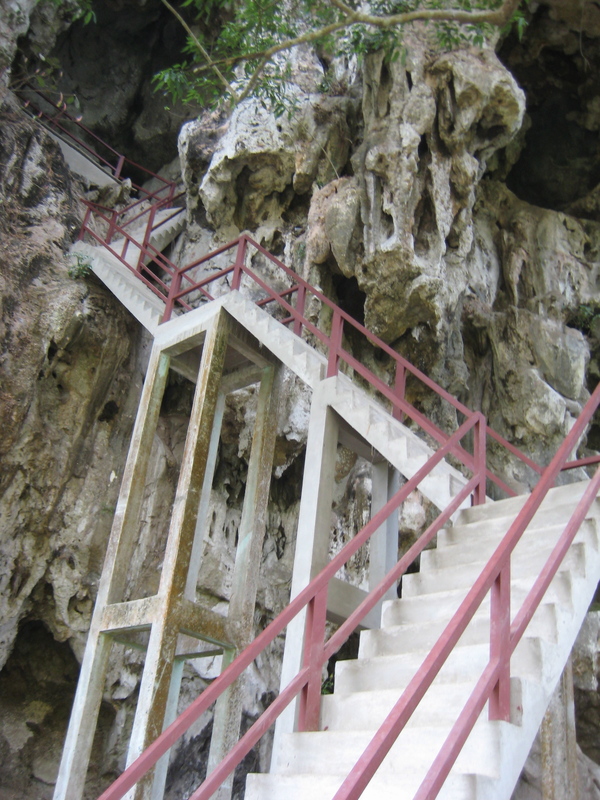 It has a very small, narrow passage going in and leading to…I don’t even know where, because I didn’t go in. Stu and Robert ventured in, but I took one step in to follow them and came right back out, calling behind them that I’d be waiting outside. Stu and Robert continued in, and were gone for a good 20 minutes. A couple of times, I got up and tried to go in again, but I’d start panicking when I was just a couple of feet in, and I came right back out each time. 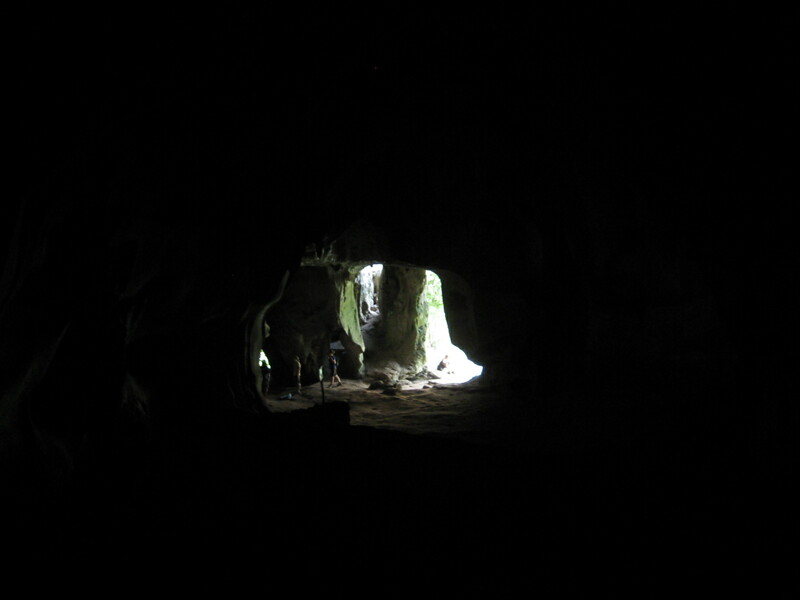 Maybe another cave, another time. But not this one. 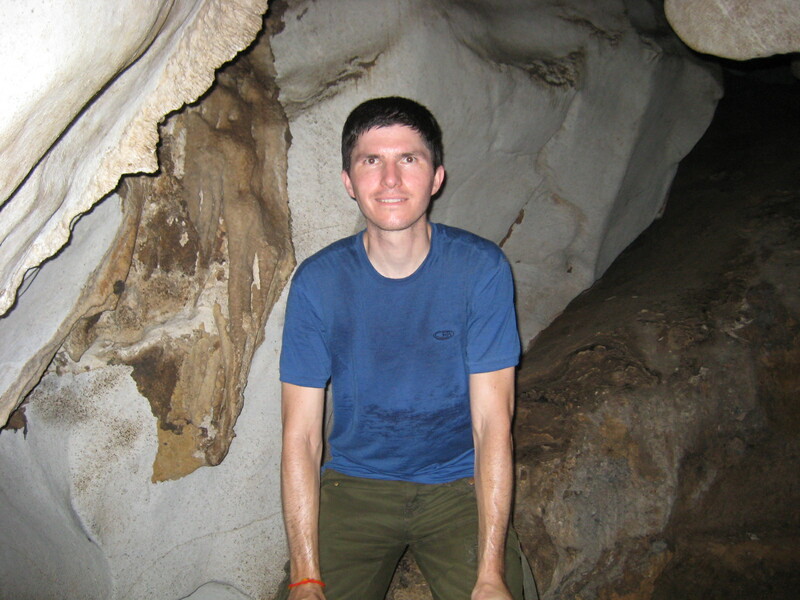 After the cave, we rode to the waterfall for a picnic lunch and a swim. We found a waterfall, but as it turns out, it wasn’t the 100 Waterfalls waterfall. We figured as much pretty quickly. 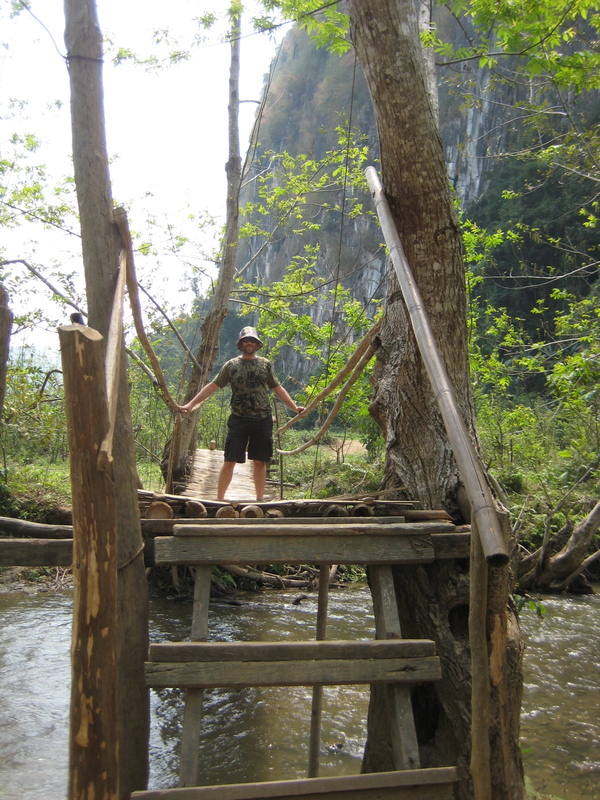 We had seen pictures of 100 Waterfalls, and this was much smaller. We realized later that you need to go by boat to get to the 100 Waterfalls, but at that point, we were hot and tired and hungry, and we decided to stay put at this waterfall and enjoy what we had in front of us. Plus, we had a little entertainment from a few little boys warriors who were there with their goggles and spears, part fishing, part playing around and all putting on a show for us farangs. saw the little warriors splashing around in the water, and decided they needed to be part of it. At the same time, all of them ran down the hill to the bank of the river where we were sitting, whipped off their clothes, and jumped into the water! Sitting on the riverbank, it was quite a sight to behold – we just got swarmed by all these kids who came down that hill like a bunch of ants, with just the water in their sights. I managed to count almost 30 kids in the water before the school teacher showed up on the bridge with some older kids and yelled at all of the little ones to get out of the water. 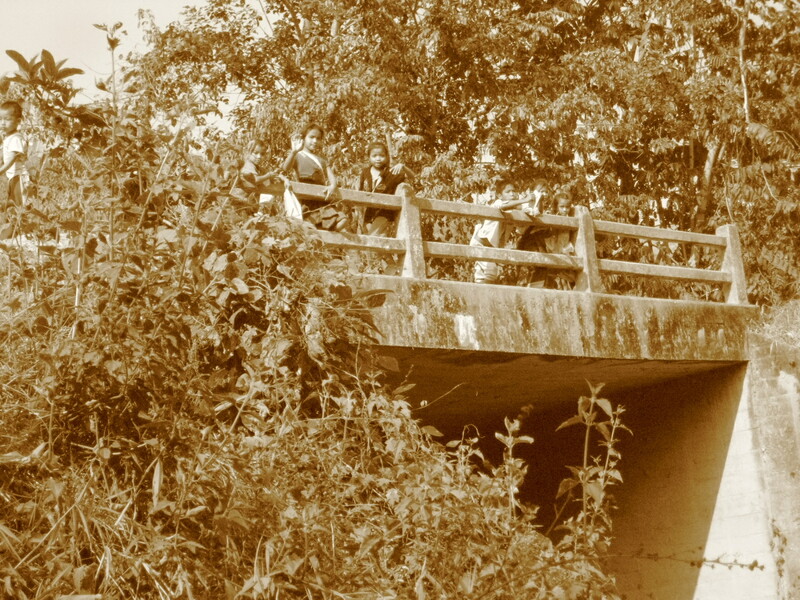 Then, almost 30 kids all ran out of the water, got dressed and were back up on the bridge just as fast as they had come down. 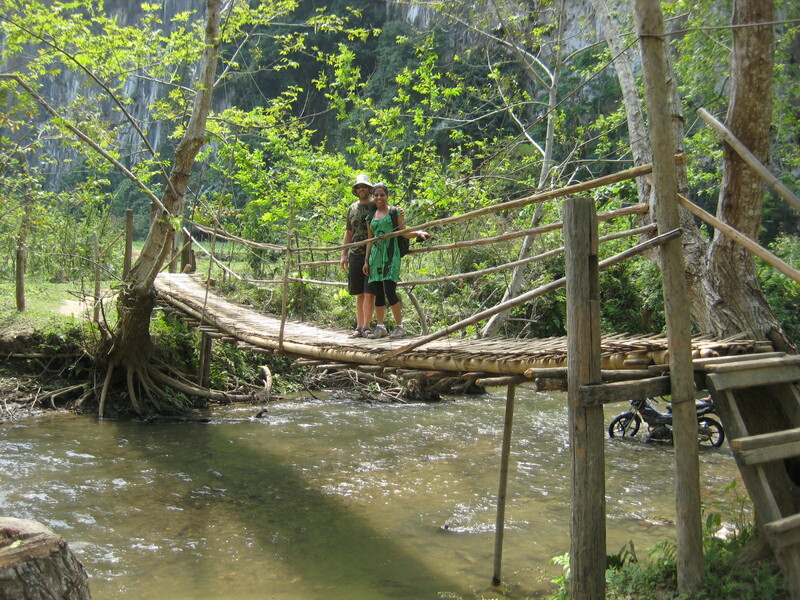 We left Nong Khiaw the next day, so we never made it to the 100 Waterfalls, but I don’t think we missed a thing. The picture looks like a pool of naked nymphs!!! How amazing to be there at that moment of pure joy. Kids know how to do it. Get naked and jump in, my new mantra for life!